I'm excited to be a member of the PaymentsJournal team, because of its association with one of the industry's leading payments and consulting firms, Mercator Advisory Group. 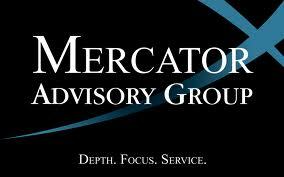 Mercator Advisory Group today announced the addition of Will Hernandez to support the growth of its online, industry information hub PaymentsJournal.com, the only free news and information website for payments professionals powered by a team of independent, industry analysts. Hernandez joins Mercator with over a decade of journalism and publishing experience ranging from newspapers and wire services to trade publications. He previously spent four years within the Payments Group at SourceMedia as an associate editor covering the payments industry for publications including ATM&Debit News, CardLine, PaymentsSource.com, ISO&Agent Weekly, and American Banker. Will's coverage areas included debit, prepaid and mobile and social media payments, as well as the merchant acquiring space. During his tenure, Hernandez also launched the bi-weekly newsletter, Mobile Banker and built and cultivated the Payment Group's first Twitter presence to almost 1,100 followers. In his new role, Hernandez will cultivate and strengthen relationships with key industry contacts to increase and enhance the library of thought leadership resources such as perspectives and white papers featured in PaymentsJournal. In addition, he will support social media optimization, marketing, sponsorship and brand development efforts. "I'm excited to be a member of the PaymentsJournal team, because of its association with one of the industry's leading payments and consulting firms, Mercator Advisory Group," said Will Hernandez. "This pedigree enables us to offer not only an information rich hub for industry leaders, but also analyst commentary and insight on the critical topics that most affect their business." Additional industry documents and buyer's guide entries"
Rob Misasi, President and CEO of Mercator Advisory Group noted, "As PaymentsJournal witnesses increased traffic, we have noted that the unique, robust content within the site is one of the features our readers value most. Will's journalism background and tenure in the payments space will enable him to take PaymentsJournal to the next level by providing the superior content our growing audience expects." Additional site enhancements for PaymentsJournal in the coming months include an enhanced search index enabling readers to find needed content more quickly and easily, a new editor selection feature highlighting the newest and most thought provoking content, industry snapshots, and enhanced strategy sessions. Managed by the Mercator Advisory Group, the leading, independent research and advisory services firm exclusively focused on the payments industry, PaymentsJournal delivers extensive news, unique content, expert analysis, views, and shared research to create an information rich community designed for payments and banking professionals, technology providers, investors, and members of the media. PaymentsJournal content is offered free of charge allowing thought leaders to easily share their opinions and benefits of their businesses to an exclusive group of industry professionals. Learn more about leveraging the unrivaled value of PaymentsJournal.com and contributing to the success of your business by contacting Will Hernandez at whernandez@mercatoradvisorygroup.com.